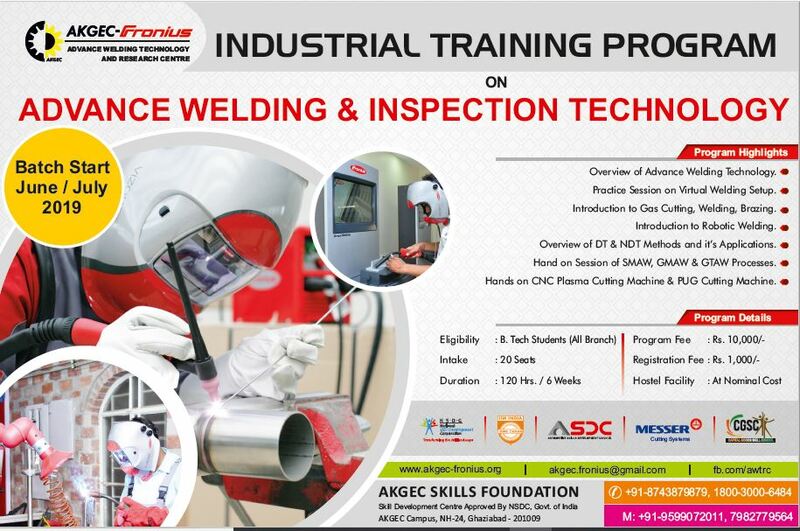 Summer Training Program on Welding Technology for Ist Year Students Registration open for "Industrial Training Program- 2019" Registration open for "Short Term Training Program- 2019"
The AKGEC-Fronius is an acclaimed ISO 9001:2008 and ISO 29990:2010 certified training centre. 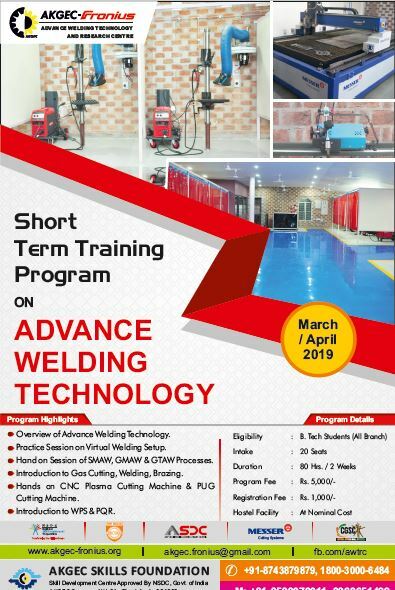 It has been established with vision of creating a premier international training, certification, research and development center in the field of welding and allied areas. 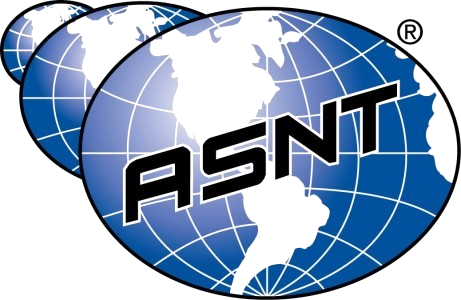 The aim of AWTRC is to create a state of the art infrastructure for becoming a globally recognized source of a competitive workforce and cost-effective, superior-performing welding technologies by conducting training, research and development in the field of welding science, engineering, automation and non-destructive inspection technology. An enlightening visit to AKGEC, where true to its illustrious history the Institute provides industry specific education that is vital to the success of technicians, business owners, and designers alike. I wish to point out the commitment, excellency and professional attitude of the skill development centre: the coordination, standards, and course offerings are the best. The learner benefits from extensive investment in good-quality, intellectually stimulating education and skill training of international standards. 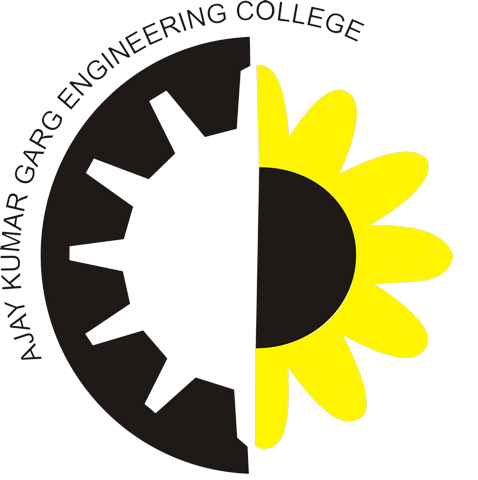 AKGEC’s success is determined by providing application based usable training to students, facilitating their entry into gainful employment. A true feather in the cap of the SKILL INDIA initiative. One stop destination of all welding needs. Metallurgical investigations including analysis of Welding Defects and their remedies; Failure Analysis; Residual Life Assessment; analysis of Residual Stresses and Distortions etc. To reduce the average cost of welding substantially, by providing better process selection guidance, increasing the use of automation and robots, and lowering reject and repair rates. Develop welding technology and automation along with new materials so that practical fabrication methods are available for all engineering applications. Through the use of modeling, systematic process selection and procedure development, and NDT technologies, assure that welding can be part of a six sigma quality environment.